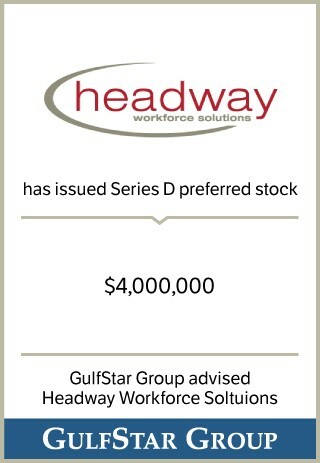 Headway is a leading provider of human capital solutions with a breadth of integrated services tailored to meet the complex challenges of large scale contingent and permanent employee recruitment, retention and workforce optimization. The Company’s innovative model couples centralized processing with automated candidate databases specifically targeted to industry sectors, efficient web-enabled candidate screening, web-enabled employee on-boarding and payroll processing capabilities. This high level of recruiting workflow automation has positioned Headway to emerge as a leading provider of high-volume, nationwide workforce solutions.